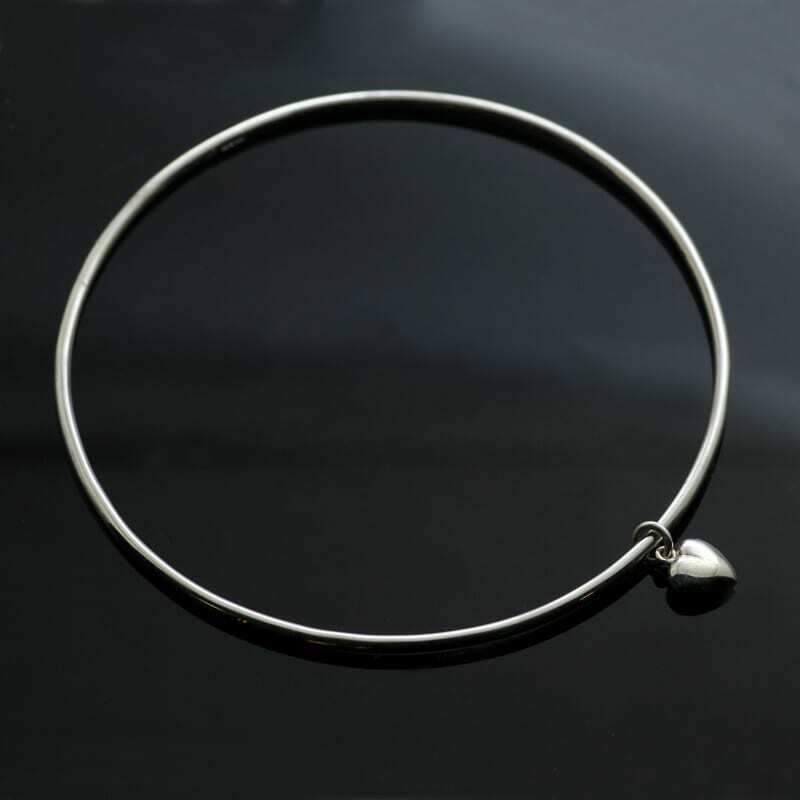 A beautiful solid Sterling Silver petite Heart charm suspended on a dainty solid Sterling Silver bangle to create this sweet, contemporary bracelet that is perfect for everyday wear. 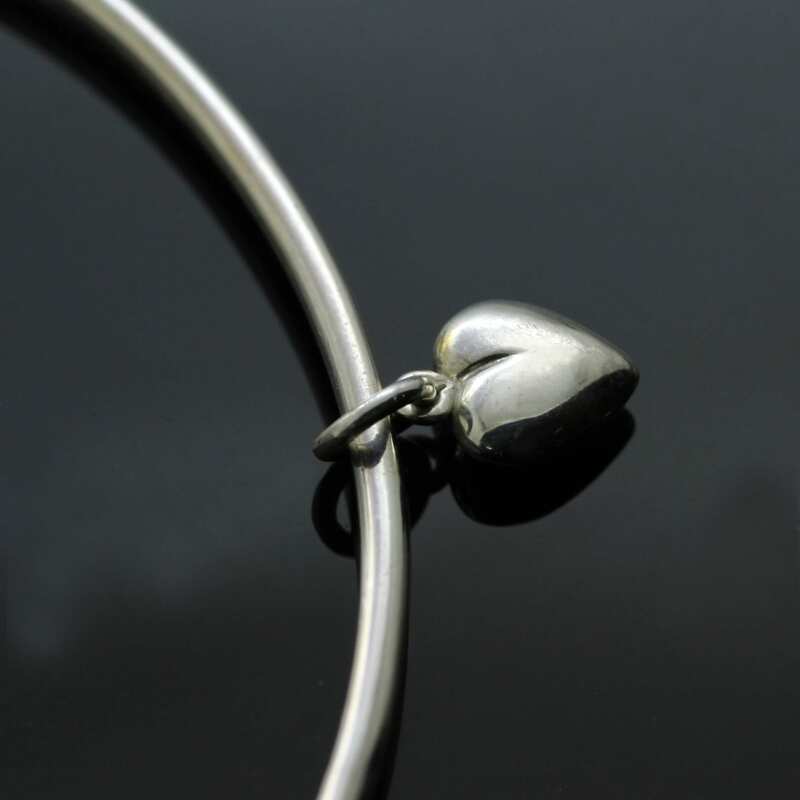 This sweet solid Silver Heart charm is an exclusive design by Julian Stephens, a gorgeous contemporary charm securely attached to a chic modern bangle and has been thoughfully designed to be versatile, stylish and subtle making a perfect accessory for everyday wear. This solid Silver heart bangle will arrive presented in a sweet gift box, making this sweet piece of minimal contemporary jewellery an ideal gift or treat.